Joseph Dully passed away peacefully on Jan. 3, 2018, in Sacramento, after a long illness. 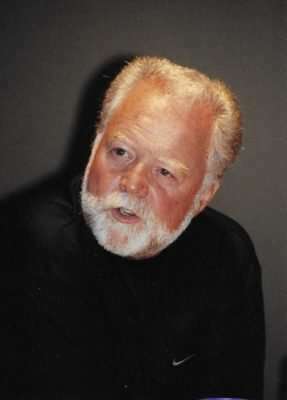 He was born in Ely, Nevada, on Jan. 2, 1940, and moved to the Bay Area shortly after. While in the Bay Area he was employed as a process engineer by several high-tech companies. He enjoyed being on the ground floor of integrated circuit technology. His favorite past time was fishing and he became familiar with Greenville while searching for that perfect trout stream. About 20 years ago he moved to Greenville and settled on a “ranchette” where he raised a field full of pets. Joseph is survived by his wife, Sydney; his brothers, Frank Dully, Henry Kolte, Dennis Kolte; his sons Joseph and David (Christina); and his granddaughter, Nikki. James Robert O’Connell (Jim) passed away on Jan. 27, 2018, at Stanford Medical Center after complications from open-heart surgery. He was born July 7, 1944, to Frank (Bud) and Margaret O’Connell in Sacramento. Jim graduated from Christian Brothers High School Sacramento in 1956. He lived in Sacramento until he moved to Santa Rosa, in 1982, and then Chester, in 1992. Jim was a baseball lover: “Go Giants.” He was also a collector of “Stuff.” we all say with a smile. Jim was a self-employed truck driver by profession. He was a long-haul driver from 1993 to 2013. Wanting to stay closer to home, he then started driving for White Cap Ready-Mix Concrete, Portola. 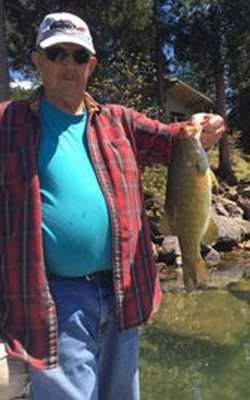 Jim was an avid family man and an active member of the Chester/Lake Almaonr area. He was first to offer help to the youth sports teams and fundraising. His daughter Aubrey was a junior in high school when they moved to Chester. She was an excellent track runner. Being told that there would not be a track team that year, Jim came to a parent meeting and suggested and carried through with the first ever “auction/dinner” in the Chester/Lake Almanor area that earned enough that year to pay for all spring sports. Jim and his wife Donna lived in the Chester/Lake Almanor area for over 26 years. He is survived by his wife of 27 years, Donna; son, Steven O’Connell, of Yuba City; three daughters, Erin Arnold (Husband, Ken Arnold), of Corralitos, Aubrey O’Connell (Fiancé, Chad Butler), of Gig Harbor, Washington, Lindsey O’Connell Hutching (Josh Hutching), of San Diego; brother, Timothy O’Connell (wife, Dorothy), of Sacramento; sister, JoAnn Chastain, of Tracy; and grandsons, James Arnold and Matthew Arnold. No services are scheduled at this time. A private celebration of life will be held this summer. Donations in Jim’s name can be made to St. Jude’s Children Hospital. Dennis Michael Woods passed peacefully from this life at the age of 72, at his home in Quincy, on the morning of March 3, following a very courageous battle with lung cancer. He was surrounded by his son, daughter and daughter-in-law. Dennis was born Dec. 9, 1946, in Susanville, to loving parents, Viola and Ralph Woods, and he graduated from Lassen High School in 1964. Dennis worked in several northern California towns in various jobs until he settled in, finding employment with the U.S. Forest Service in Mt. Shasta. He also met his wife, Janice Elaine Cowell, in Mt. Shasta and after they married his employment in the US Forest Service found them relocating to beautiful Quincy. Dennis spent the rest of his life living in Quincy, where he raised his two stepdaughters, Dana and Stacy Cowell. Dennis shared his love for small town living, fishing, camping, woodcutting and wood working with his son, Paul Woods. Dennis retired from the U.S. Forest service in 2002, after 37 years of service. Dennis was a hard-working man who profoundly enjoyed bass fishing. Any chance he had to go bass fishing, he would take it. He loved the competitiveness of fishing bass tournaments. He was also a devoted father and husband. With a keen eye for detail, he spent countless hours in his shop building furniture for his children and for himself. On a Saturday morning he could either be found fishing, having breakfast with the guys in town, wood working or at a grandchild’s sporting event. Dennis is preceded in death by his siblings, Tom Woods and Peggy Woods, his mother Viola Morrill, his father Ralph Woods, his wife, Janice Woods and his grandson, Travis Woods. Dennis is survived by his son, Paul Woods; his daughters, Dana Cowell and Stacy Melhus; his grandchildren, Tessa Woods, Jake Woods, Katelynn Gibson, Dylan Gibson, Clarissa Gibson, Cole Melhus, Sam Melhus and Mason Melhus; and a great grandchild, Jordyn Fowler. Graveside services will be March 7 at 1 p.m. at Quincy East Lawn Cemetery, 50 Redberg Avenue, Quincy, California, 530-283-2616. An opportunity to express condolences to the family along with signing the memorial guest register is available online at fehrmanmortuary.com.